MiniFinalDrives has the right part to get your IHI mini excavator up and running—and we offer IHI final drives and travel motors to our customers at the best prices on the market. It is our goal to provide outstanding Service, amazing Value, and great Quality. From the very start, we want to provide the best Service experience. With over 50 years of experience, we can help you find the right part for your IHI excavator. Our products are offered at great prices, so you’ll get the best Value. Additionally, our final drive motors for IHI excavators are designed to keep your machine running for years. 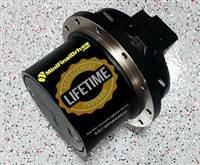 When you need a final drive or travel motor for your IHI excavator, choose MiniFinalDrives.